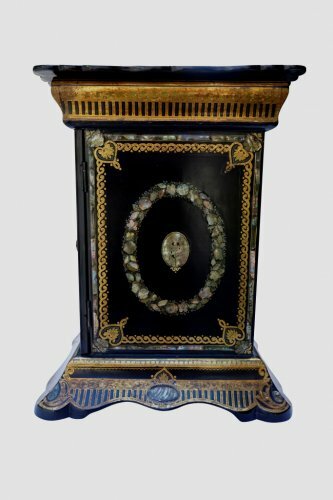 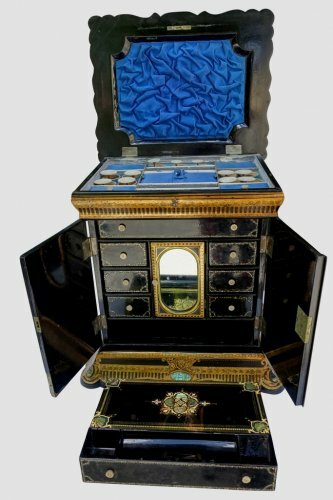 Lady travel cabinet, blackened wood inlaid mother of pearl and gold. 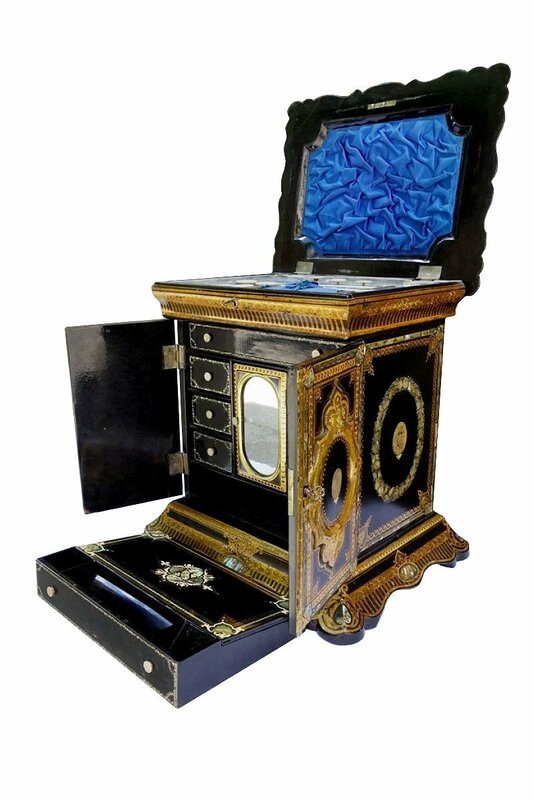 Richly decirated on the front and on the sides. 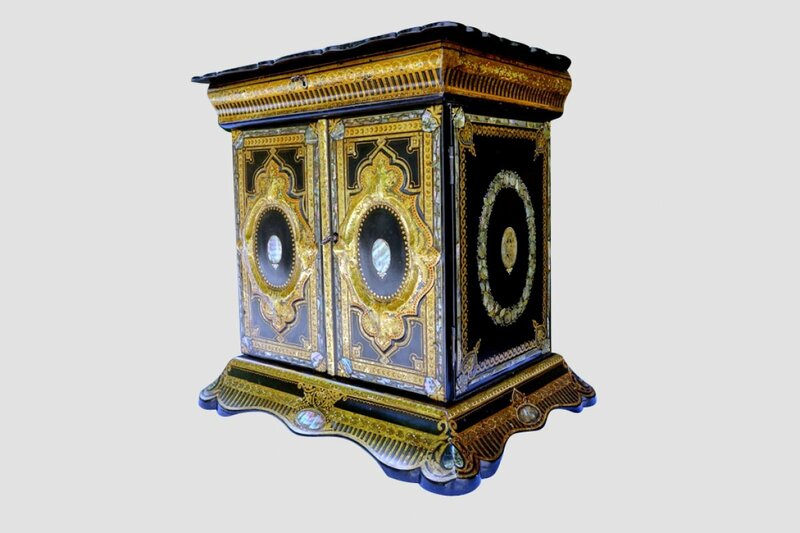 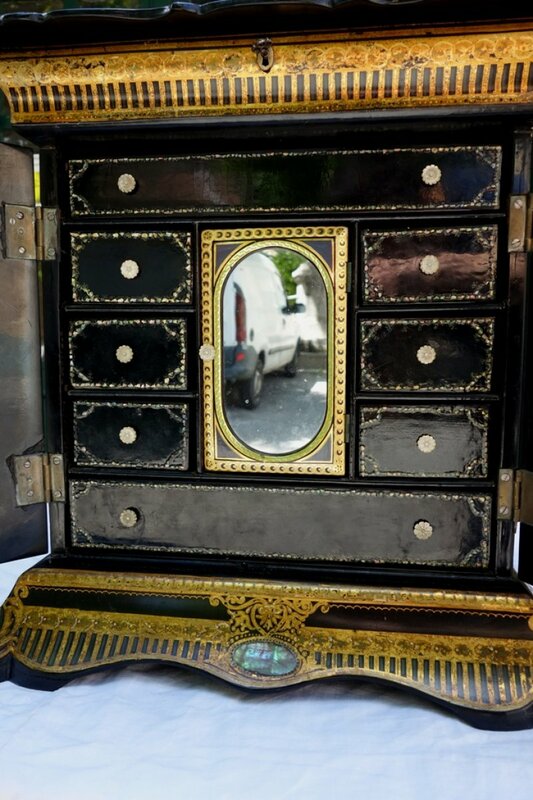 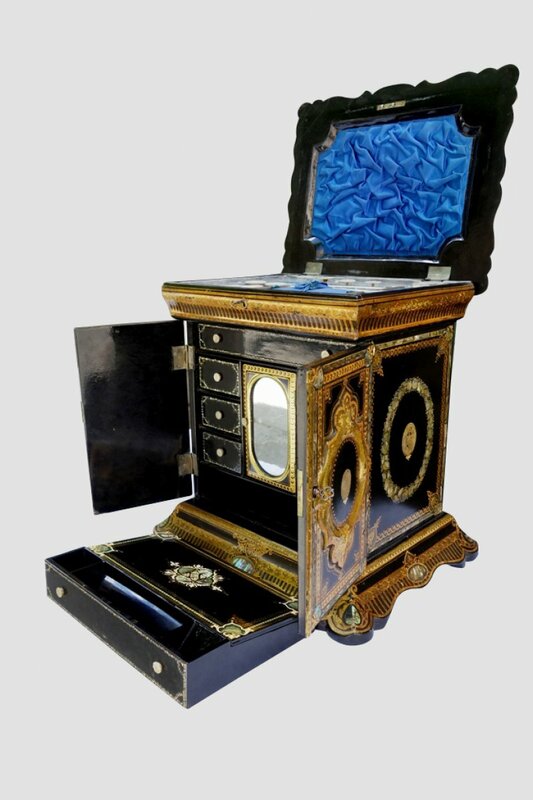 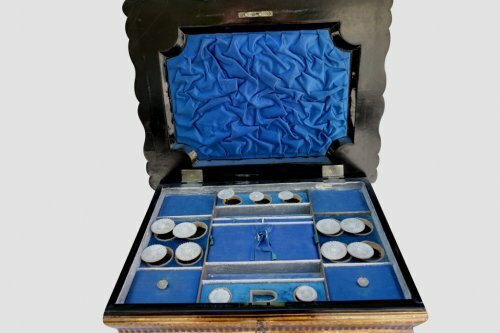 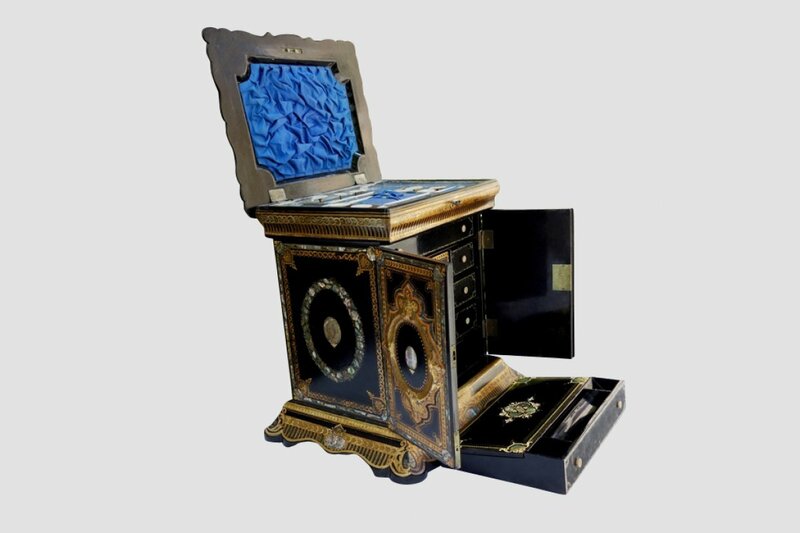 It opens with two doors decorated with pearl in rocaille frames discovering small drawers framing a mirror. 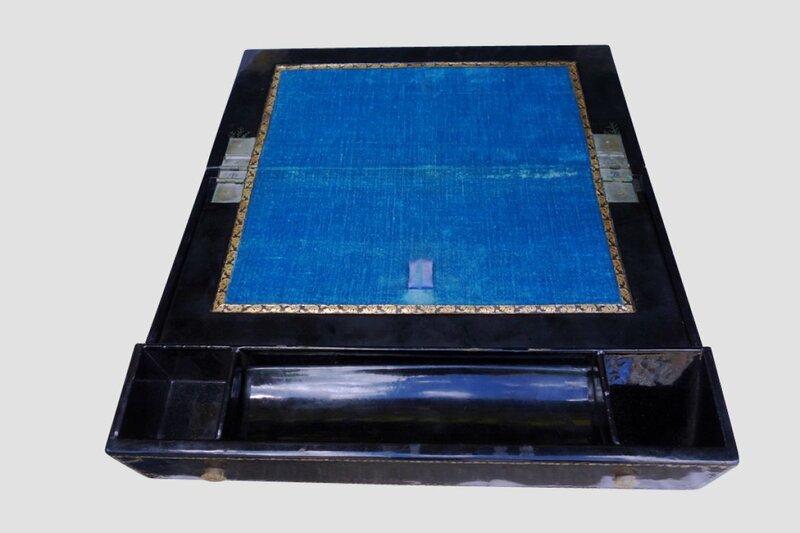 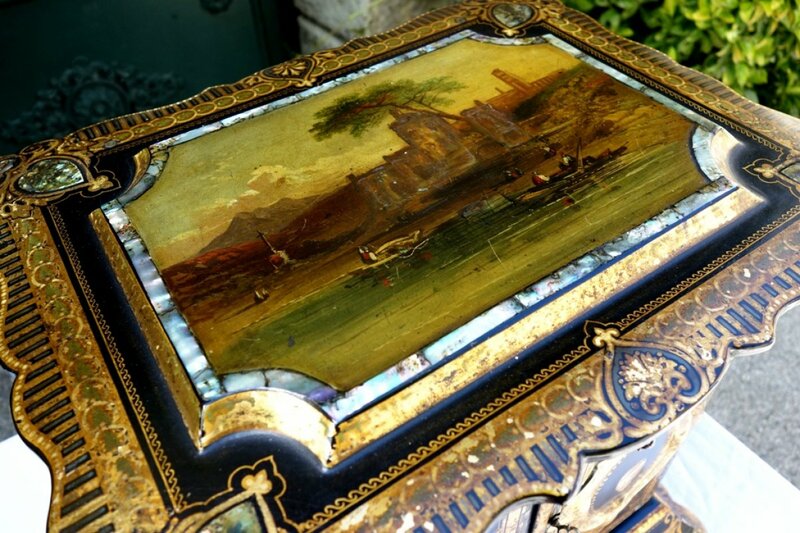 The Plateau painted of a boats scene opens to discover a sewing kit set with blue silk garniture. 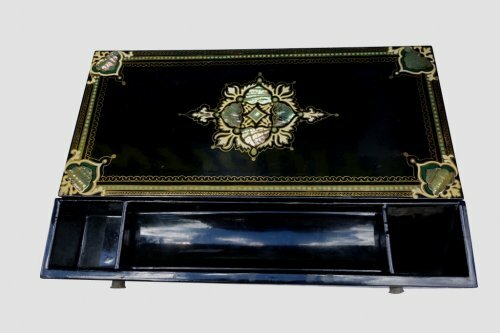 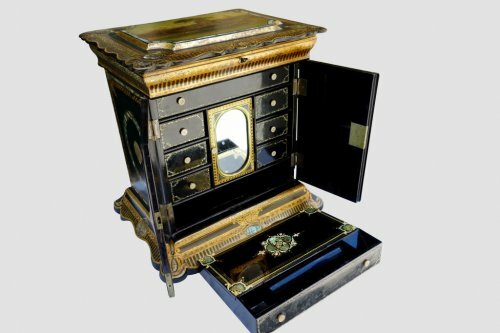 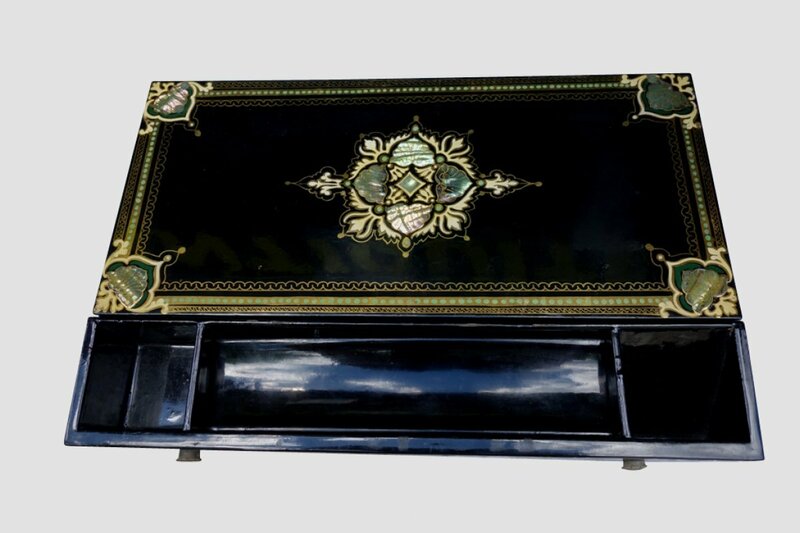 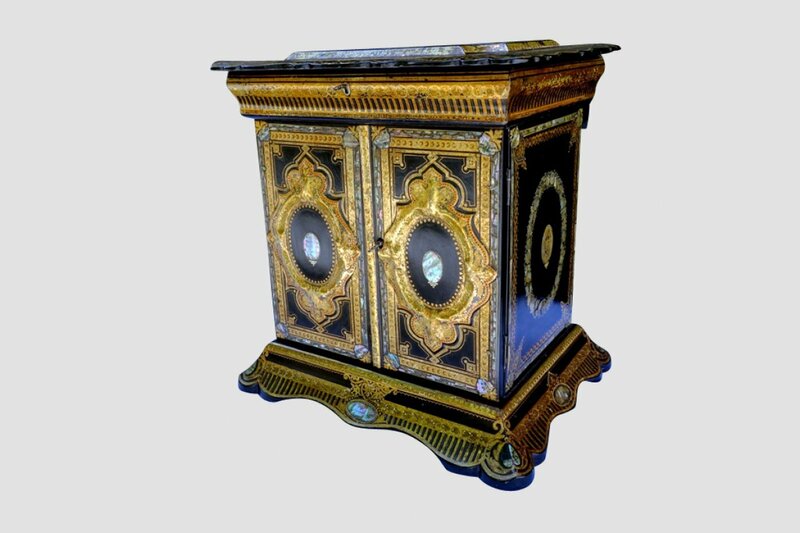 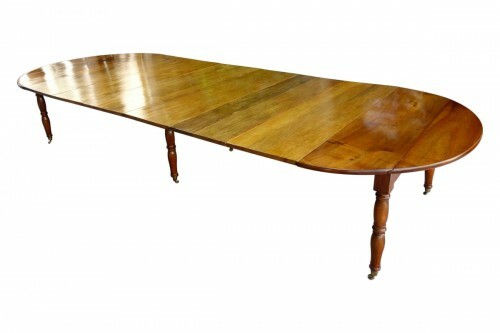 The bottom drawer discovers a writing desk decorated with a fine brass and mother of pearl inlaid. 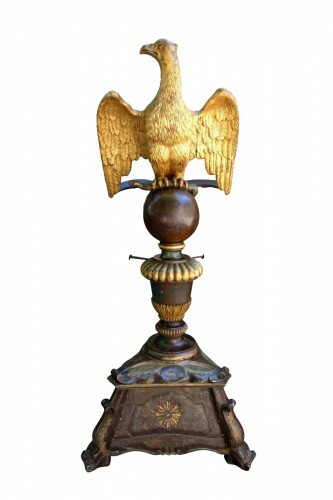 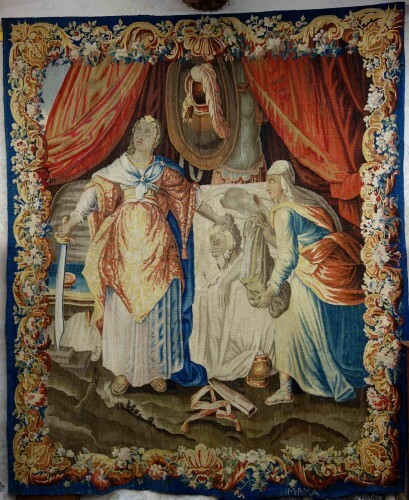 Italian work of the late 19th century, circa 1860-1880.